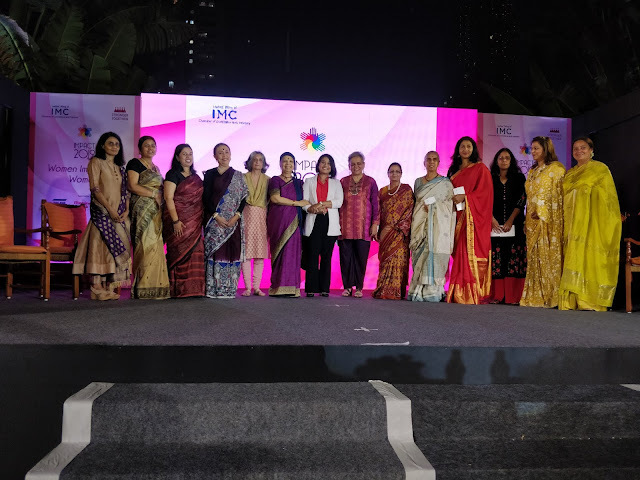 Mrs. Mohana Nair, President IMC Ladies Wing stated, “My personal experience has shown that successful women often stood tall because of other women in their lives who made it possible – their mothers, their mothers in law, their sisters, friends and their women colleagues. This made us at IMC Ladies Wing to choose "Stronger Together” which is really about women helping each other get more strength and success in what we do collectively. What I didn’t realise at the time was how relevant this theme would be over the year. Across the world, we are seeing examples of women sticking their necks out for others in their tribe. It just made sense in that context that our theme for Impact 2019 should be “Women Impacting Women”.We are honoured and humbled to host this event where we have had the good fortune of honouring some truly impactful women.